I had my first fix today. For those of you that are not yet familiar with the "Fix", let me give you a little bit of the low down. 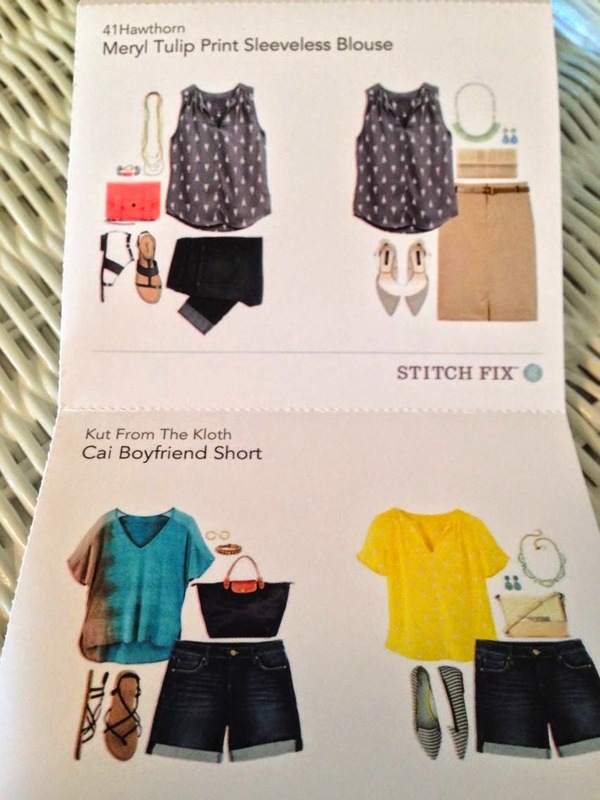 Stitch Fix, is an online women's personal styling site. Basically, you fill out this wonderfully in depth styling profile (you can even share a style Pinterest board if you have it), and then a stylist will work to take that information to select 5 wardrobe items (anything from tops to bottoms to accessories, etc.) that he/she believes may work for you. You pay $20 for this styling fee and on the date you select, these five items will be sent to your home for you to "try on". Whatever you do not like, you return, and whatever you do, you keep (and of course pay for). The cool part is though, if you do end up keeping something, that $20 styling fee you paid goes directly toward the cost of the item. So now that you have a little background, we'll head back to my "first fix" story ;). 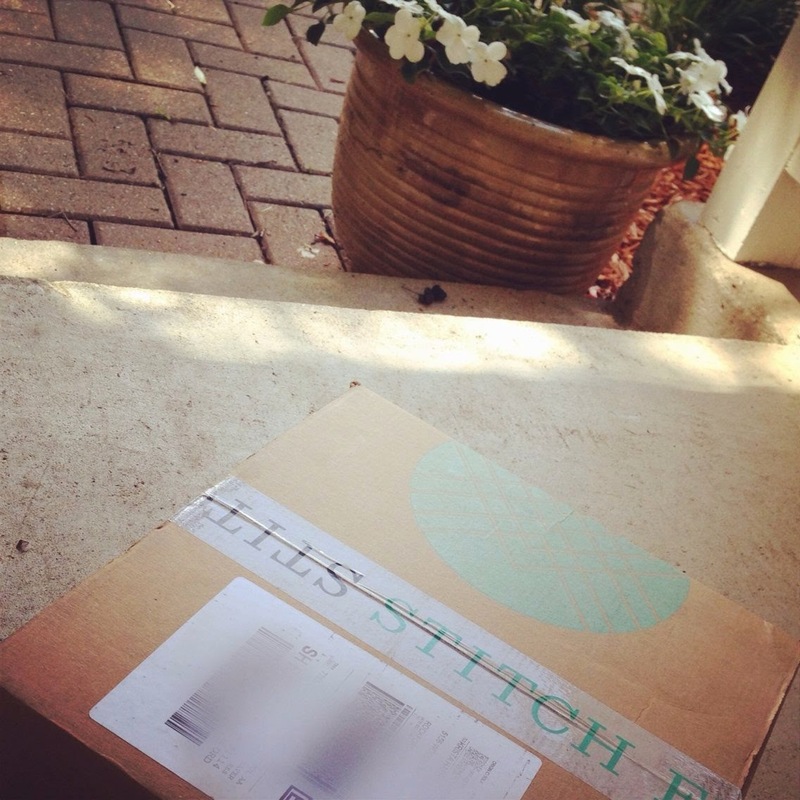 I must admit when that fab little neatly labeled box graced my doorstep this morning, I could not have had more anticipation. It is seriously like Christmas morning back in the days when you ripped the paper off with absolutely no idea what you had in store, only hoping it was exactly what you were hoping for. 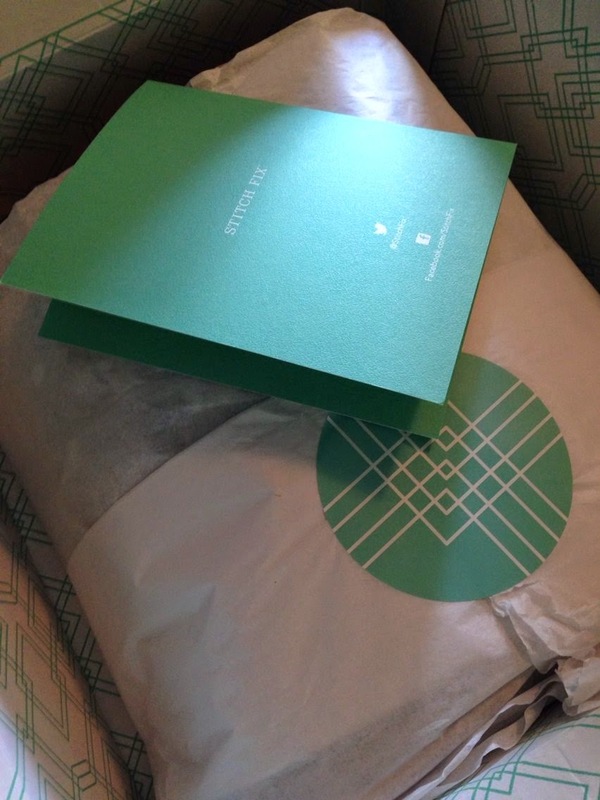 When I opened my box, everything inside was neatly wrapped and there was even a nice little card addressed specifically to me from my stylist with a description of the items she had chosen for me, and some ideas as to how they can be worn, mixed and matched. Then the real fun began as I set to trying it all on. 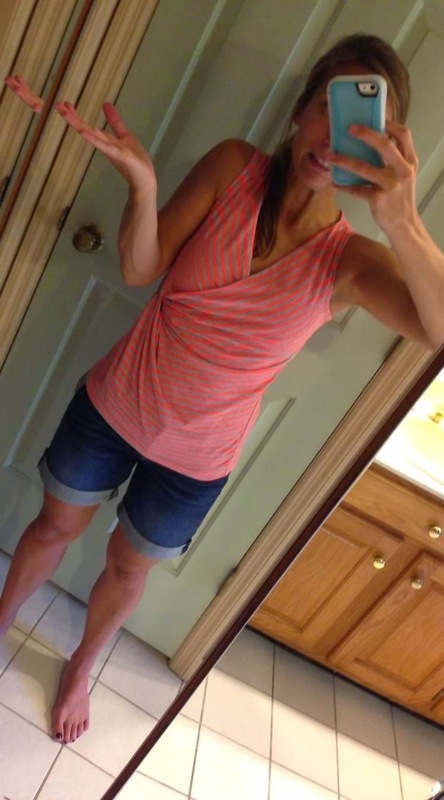 The first ensemble was a rouged, pink and gray tank paired with some denim boyfriend shorts. The boyfriend shorts, actually surprised me, as I have tried on similar pairs on my tiny lil 5 foot frame before, and they usually don't flatter me. But these I didn't mind so much. I left them on and paired them with my next piece - this fun lil gray floral and flowy number. Loved this top. Definitely comfortable and something I could wear to work, out on the town, or even just hanging out on a casual summer day. As those of you who are in your late 20's/early 30's like myself know - multipurpose pieces are like hitting a home run. 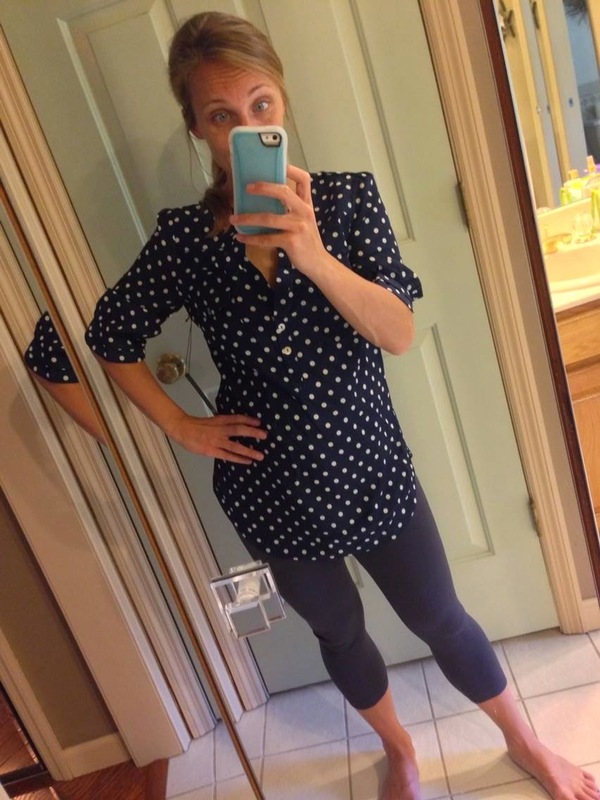 My final top option was this navy and polka dot, 3/4 sleeve little ditty. I paired it with some gray leggings I already had on hand. 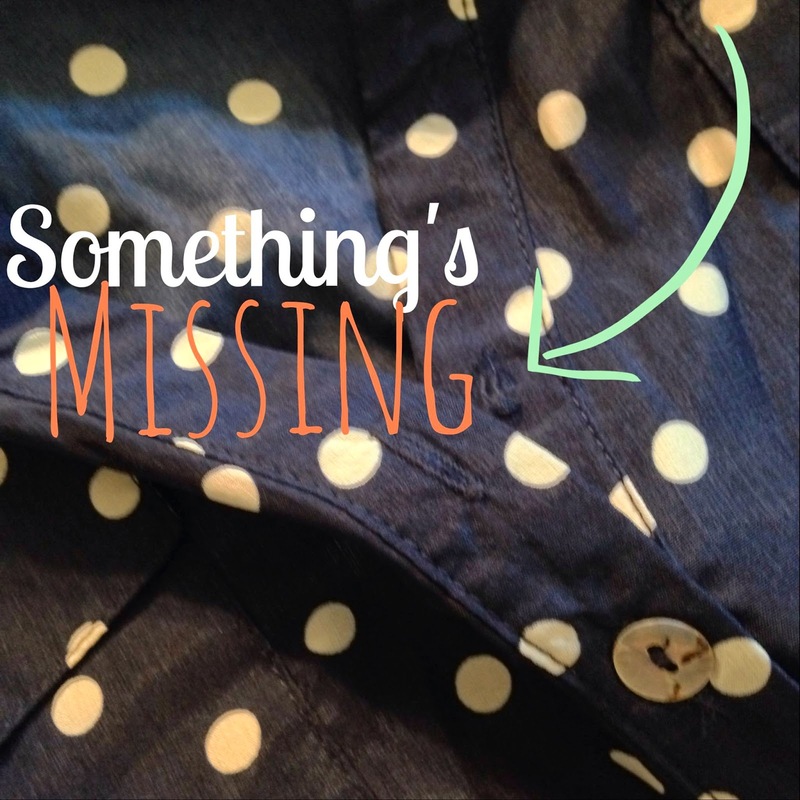 I was wondering why this button down seemed quite cleavage bearing for my taste. A button had fallen off somewhere along the way. Good thing I didn't have my heart set. 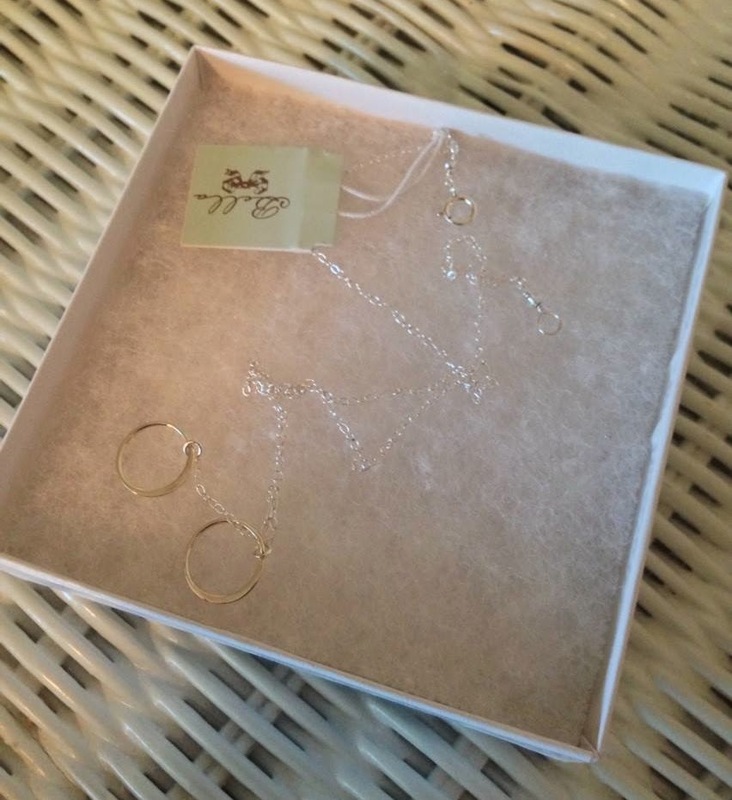 The last piece was this Sterling Silver Bella necklace. While pretty, and I think it would go with most things, I am just not in a place after all the wedding jewelry and such to spend a lot on a piece of jewelry right now. So there ya have it folks. I must say, while some of the pieces may not be exactly me, they all fit me pretty well, which I am impressed with. 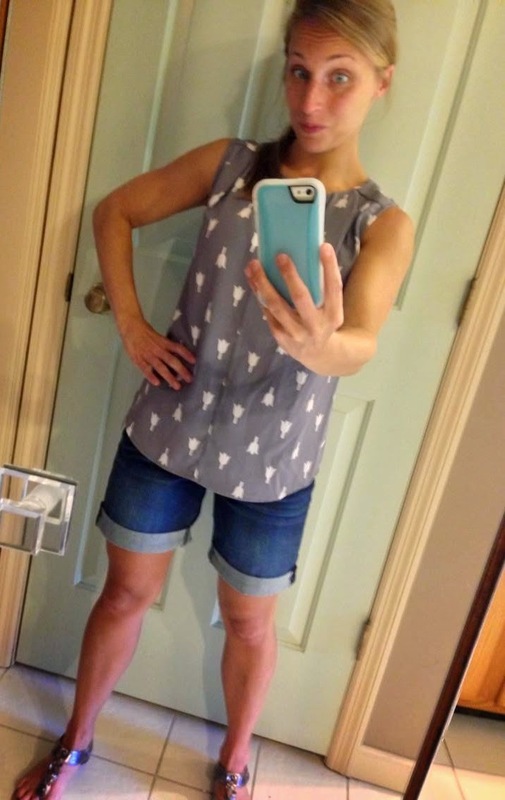 I think I will for sure go for the gray floral top, and maybe the denim boyfriend shorts (I'm on the fence....anyone care to offer your opinion and push me one way of other other?). The others will make their way back this time. Overall, I am quite satisfied with my first fix. I will certainly be sharing my thoughts with my stylist on my first package, and looking forward to scheduling a 2nd. Seriously all, it's like Christmas every month. Me too, which surprised me like I said. Just trying to weigh if I would wear them enough to justify the cost. Thanks for the insight :)!